This product has made of Teak wood and carved by expert craftsman, so it durable for outdoor and indoor use. 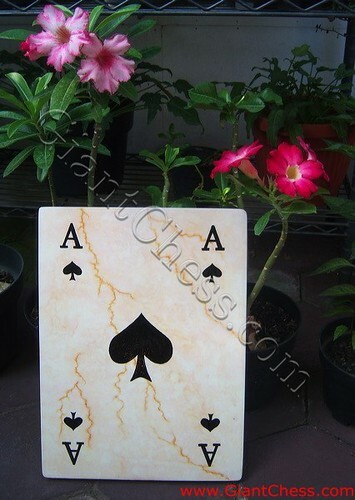 Perfect for house outdoor decoration, so that you can use it for decorate your garden, patio area, basecamp, and others. In the picture above we show you the pastel marble. But if you want to another color, we can make it. Besides, you can also decide the sizes and the design. Visit our online shop and get the others outdoor decoration products!